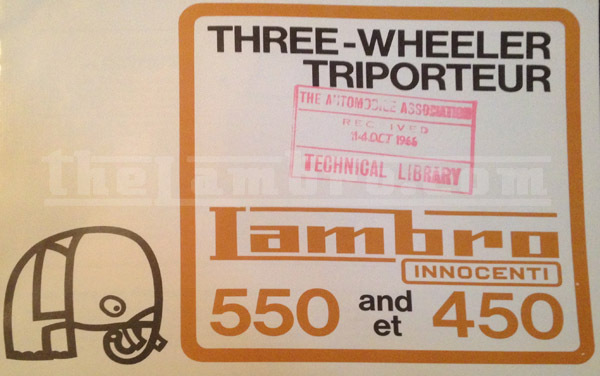 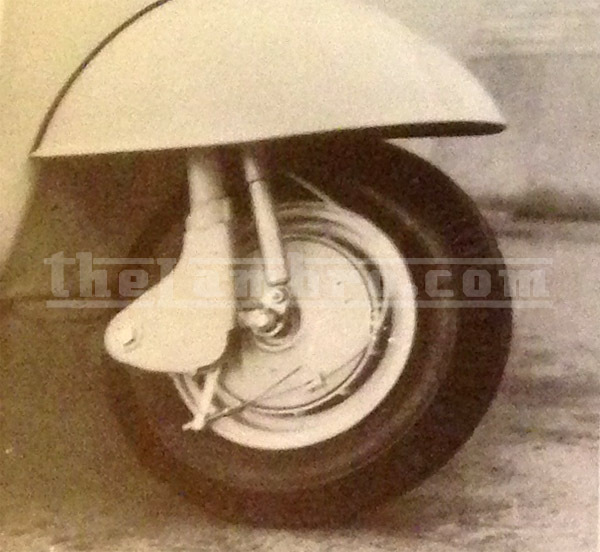 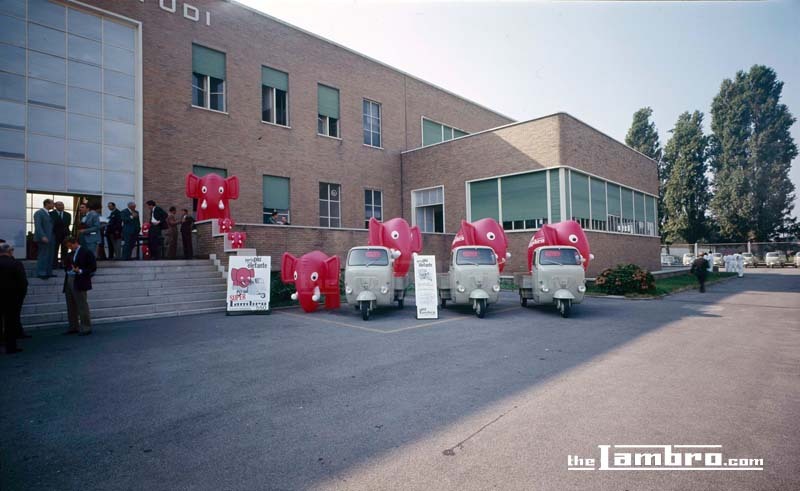 The official owners and enthusiasts club for the Iconic Lambretta three-wheelers and Lambros. 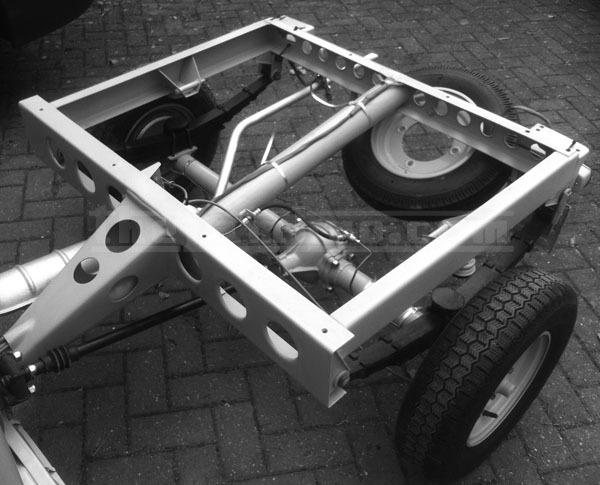 Since the conception in early 2013, the club is ever growing and we now have a worldwide membership base. 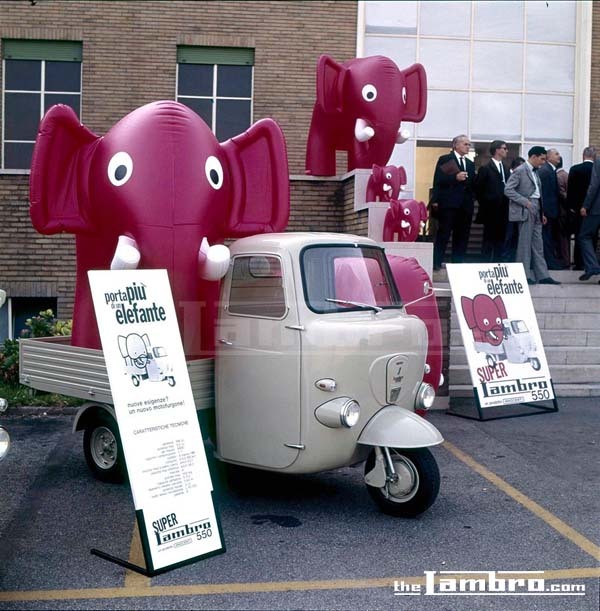 The Lambro 550 launched in 1965 was the first of the Lambro models to feature twin headlights, designed to improve visability at night. 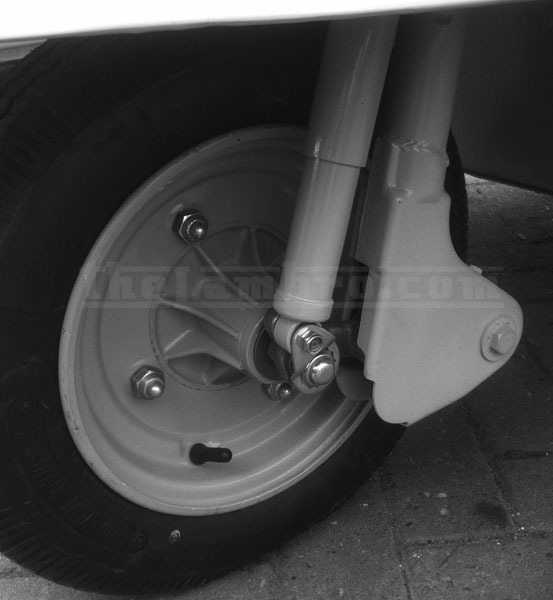 Along with the 450, the Lambro 550 has solid 10" wheels rather than the 'pepper-pot' split rims on the Lambro 200. 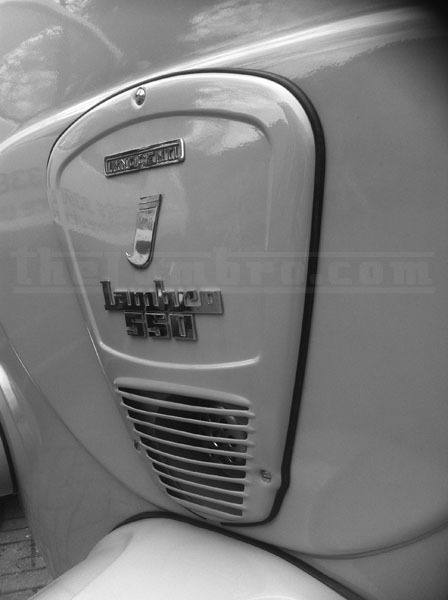 The Lambro 550 can often identified by the large horn/badge-plate rather than the smaller horn cover on all models from the Series 1 175 through to the 500L. 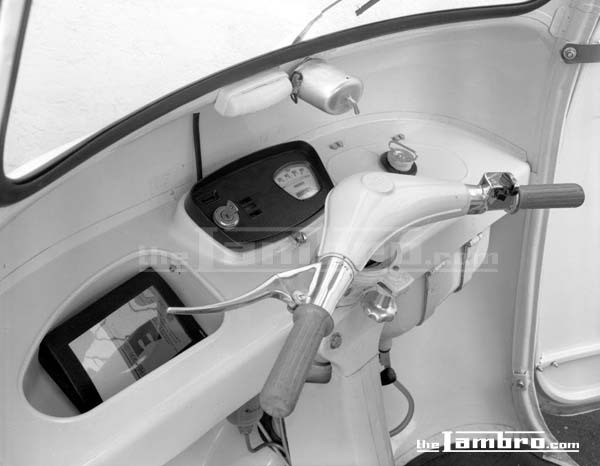 The Lambro 550 also saw the introduction of features such as the interior light. 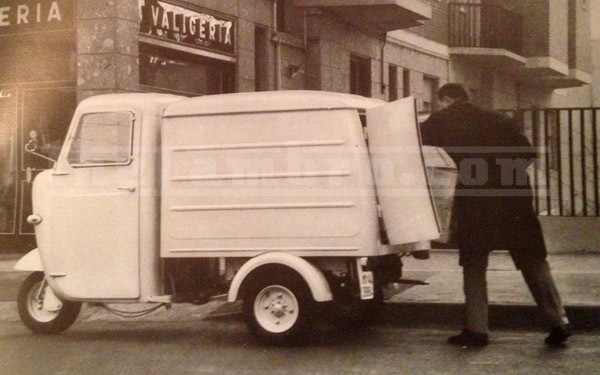 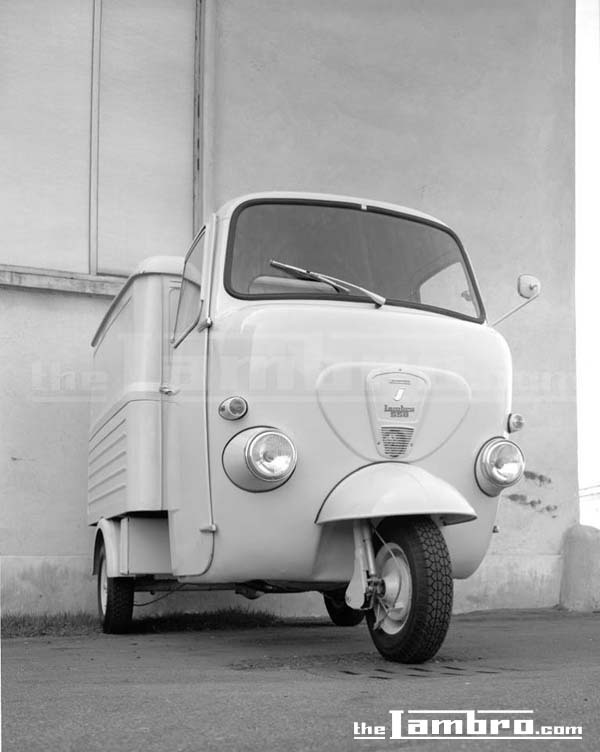 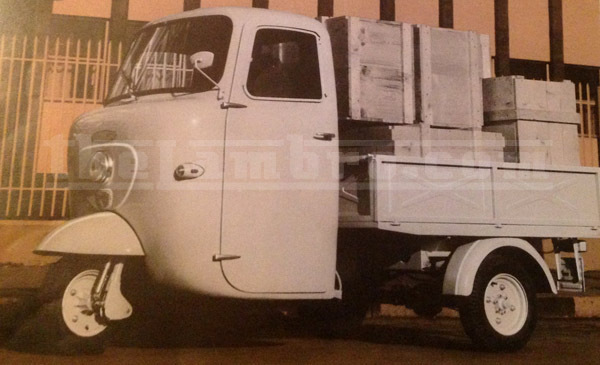 The Lambro 550 has become an iconic vehicle in countries such as Vietnam where many where exported in the 1960s. 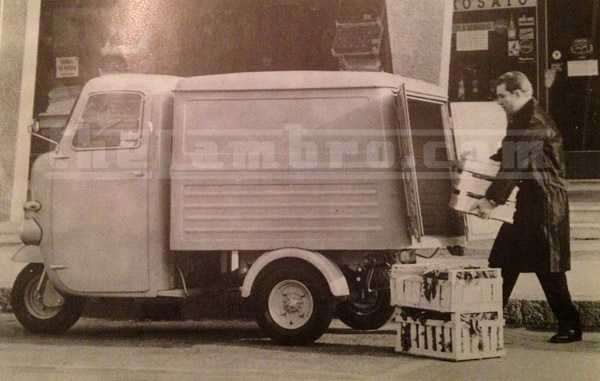 A great deal are still being used today. 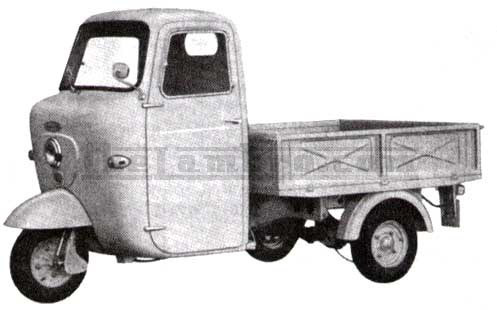 Cabin: Pressed steel, rear window, instrument panel, holes for attaching the door hinges, rear-view mirror. 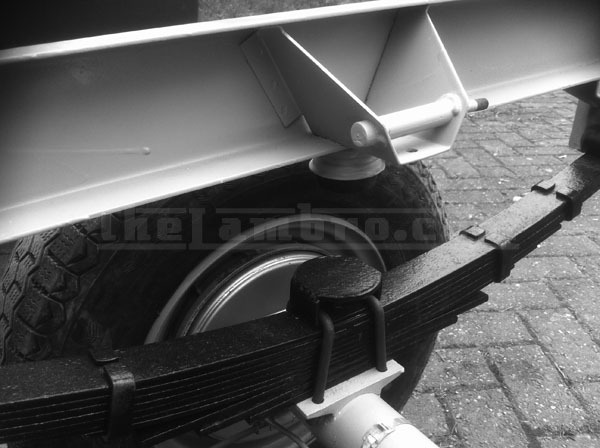 Windscreen: Curved glass windscreen with rubber beading. 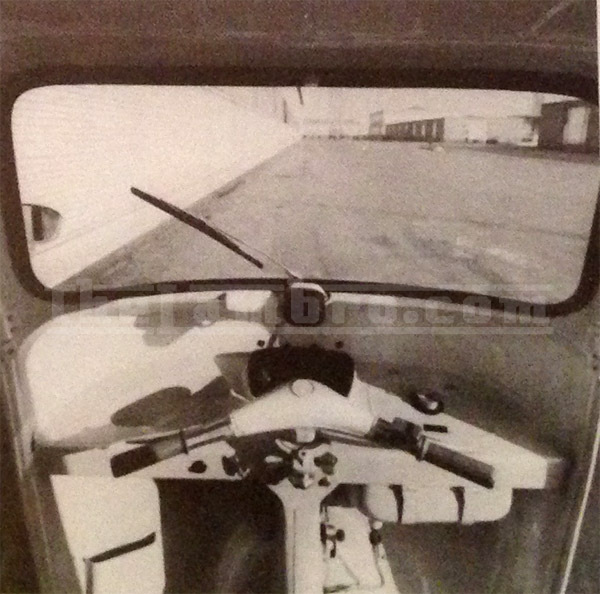 Doors: Doors (accessory) complete with glass windows (left hand door with normal type lock, right hand door with locking device in handle). 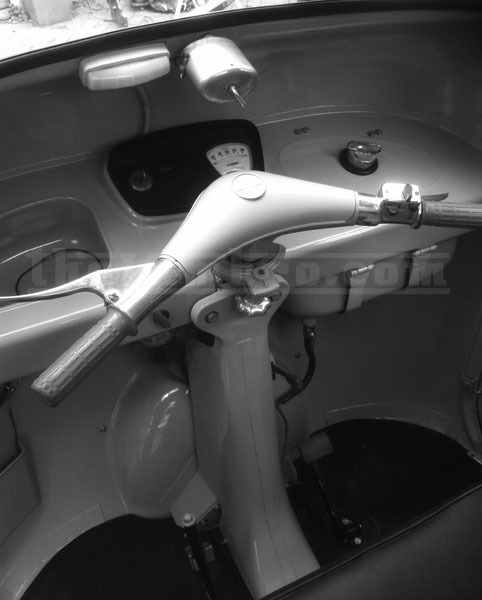 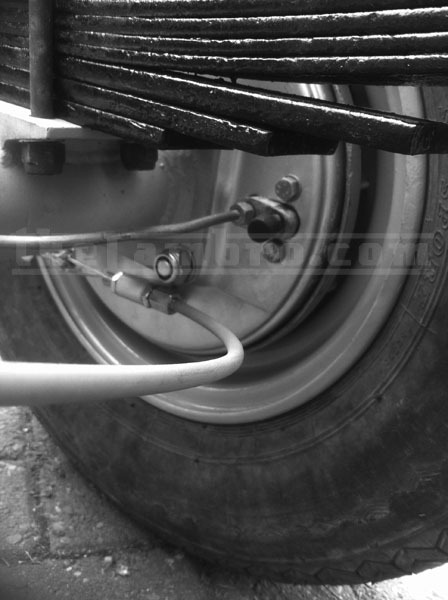 Hand lever parking brakes on rear wheels. 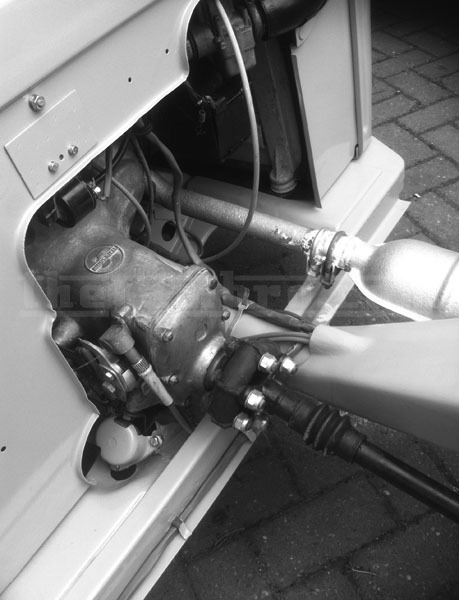 Transmission From engine to gearbox: by gears with flexible coupling. 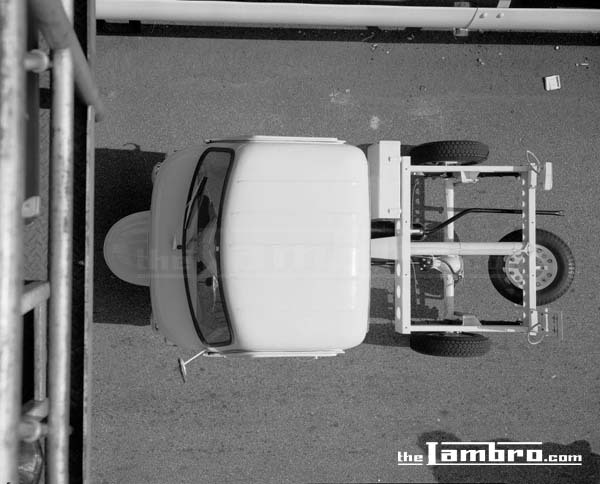 The Lambro 450 although sharing many similarities with the Lambro 550, retained the single headlight of the earlier Lambro models. 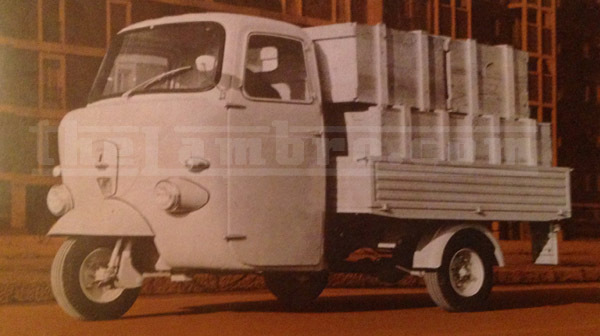 Although designed in looks around the Lambro 175, it can be differentiated by the cabin, which instead of an opening for a canvas back, has a solid panel and window, the Lambro 200 style chassis and solid 10" wheels. 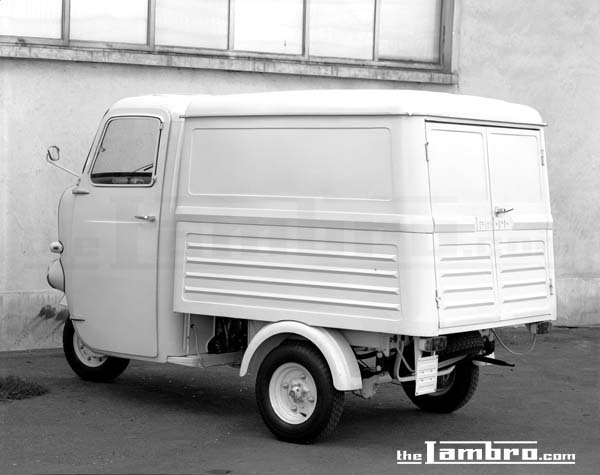 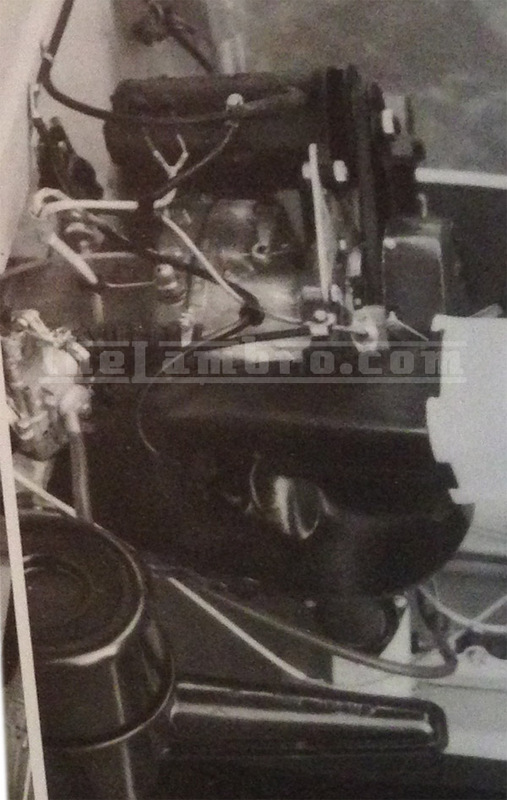 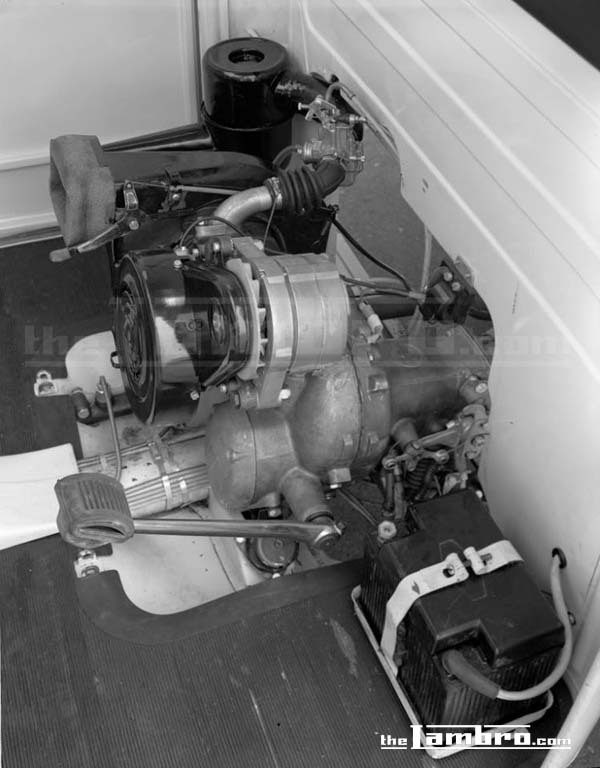 The Lambro 450 still retained the 175cc engine and the cross pressings on the pick-up style back although on the 450, the side panels on the back were removable. 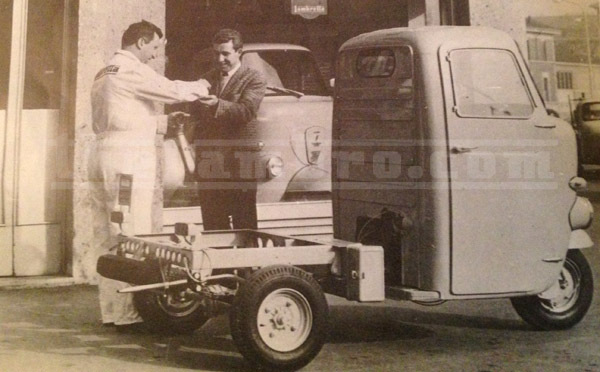 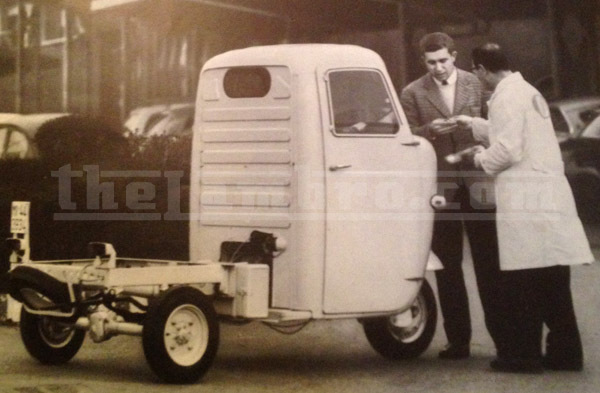 The Lambro 450 saw the introduction of new features such as the interior light and solid 10" wheels.